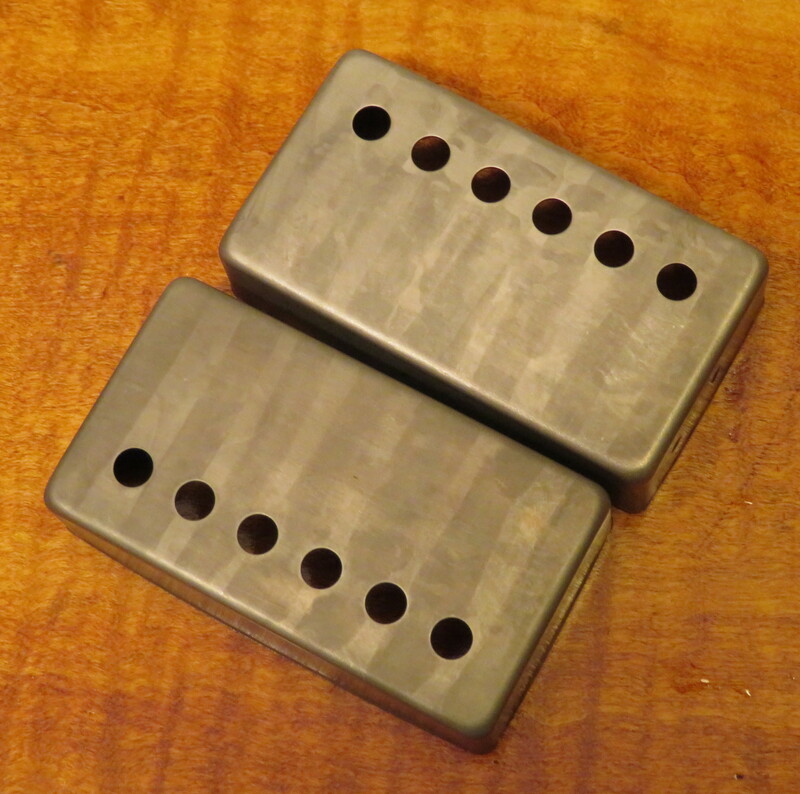 "Humbucker Covers (pair) Nickel [aged]"
Humbucker covers for vintage Gibson PAF style pickups. Nickel (pair). Aged. Polepice spacing is vintage spec 1-15/16" (49.2 mm). Will fit Gibson humbuckers and most vintage style humbucker pickups like Seymour Duncan, Throbak, Sheptone, Fralin, Wolfetone, Bare Knuckles, Wizz, Lollar, Lust for Tone, etc. Shown on a real 1950s Patent Applied For pickup for demonstration only. NOTE: these are a custom order. Select your preferred level of aging and we will send you a picture of your covers before shipping.